Happy Monday friends! After weeks of frigid weekends spent at home, we finally had a "normal" weekend and were actually social!! 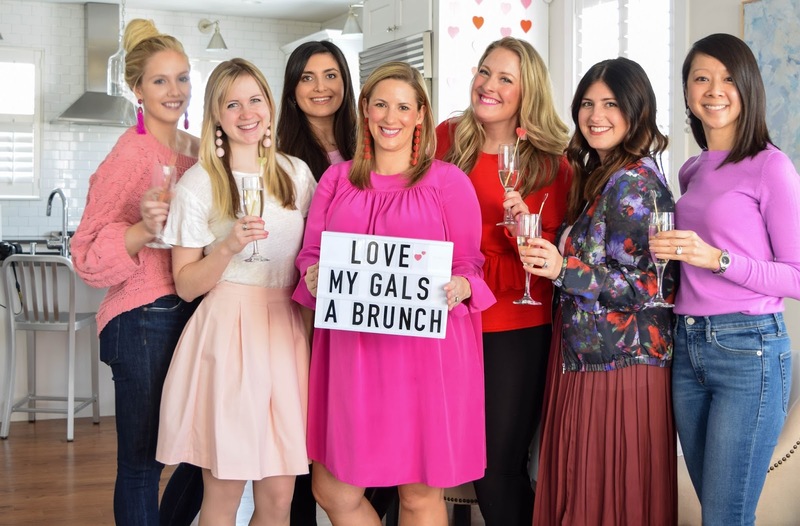 On Saturday I was invited to a Galentine's Day Brunch with some other Boston Blogger's at Jenna's home. She created such a pretty spread for us to enjoy and of course take a ton of photos of!! There was plenty of Lindt chocolate to be enjoyed and she even sent us home with little goodie bags filled with chocolate and some of my favorite Patchology products! 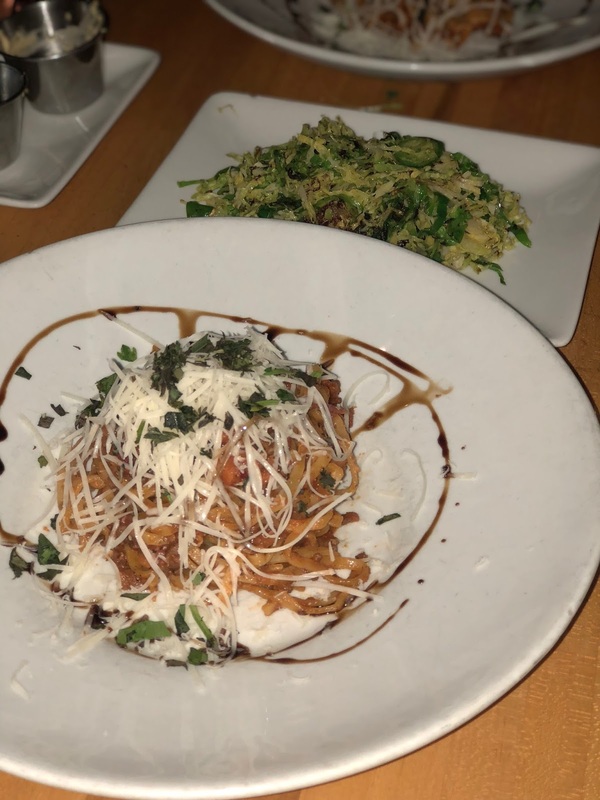 Later that night Gary and I went to dinner at The Abbey - we don't go that often but whenever we do we always try a different appetizer and then split their bison bolognese because it's incredible and the split portion is more that enough! And then before we knew it, it was time for the Super Bowl!! Our neighbor's hosted us for the second year in a row. I made these mini pizza roll-up's. I took pillsbury dough and rolled half a cheese stick with two slices of turkey pepperoni and they didn't even last through the first quarter! We had a great weekend and I'm already looking forward to the next one!! How was your weekend? Link up below to share it with us! What a cute idea to have a Galentine's Day brunch! Everything looks so cute, especially those cupcakes! Sounds like it was a great weekend. Happy Monday, Biana! Your brunch looks so cute! What a great idea! And yum - those pizza rolls look delicious and seem so easy to make! Happy Monday! Sounds like an awesome weekend!! That table is absolutely gorgeous! What a cute set up! That brunch sounds soooo awesome! As do those turkey/cheese bites! Your weekend sounds like my kind of weekend without a doubt! A little friend time and a little time with neighbors... so perfect! What a fun ladies brunch!! And I've made those pizza roll ups before, so easy and so good!! What a fun and beautiful Galentine's Day soiree! Beautiful ladies, too! Looks like a perfect weekend ! All that food looks amazing :) Have a wonderful day ! The Galentines brunch is so cute! Yummmmm to all of that food! The app you brought sounds delicious and easy! 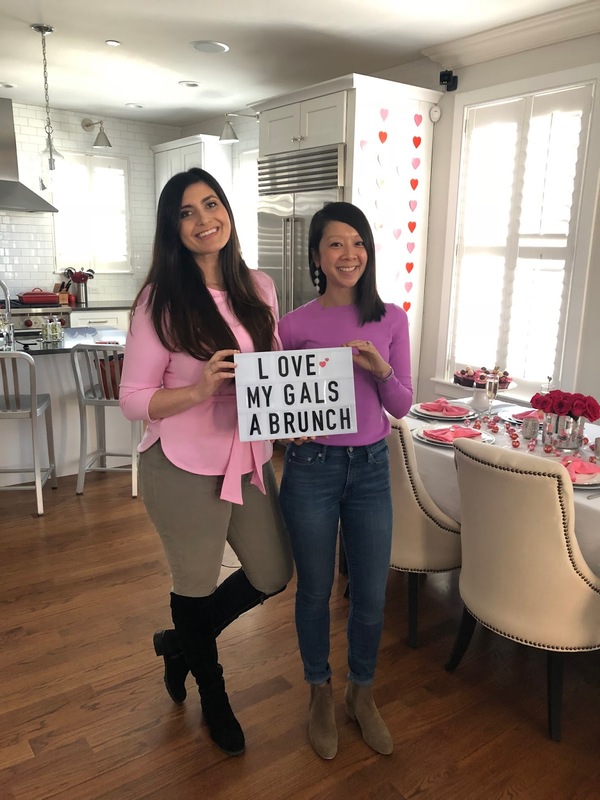 Your Galentines brunch seriously looks like it was SO much fun and the decor was ADORABLE! What a fun way to spend the weekend!! oh that galentine's looked SO perfect - love all the little details including the sign! 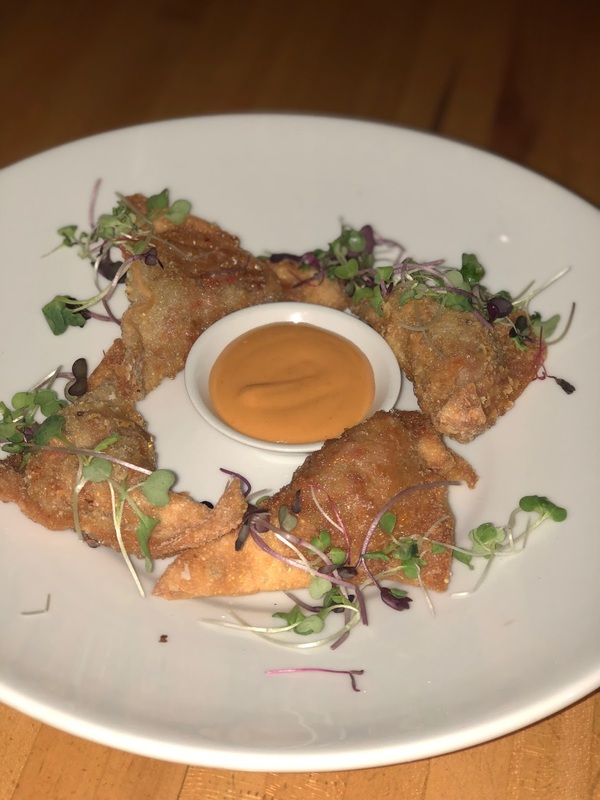 and that is a fun tradition - picking out new appetizers each time :) and i'm sorry about the pats loss although i was excited for a PA team to win :) happy week! Oh my word! That looks like the cutest brunch ever! That brunch looks so fun! And yalls date night meal looks delicious! What a fun weekend! The brunch is so pretty and seems like a blast. All of your snacks look delicious, too! You all look so gorgeous! That place setting is amazing! That looks like the most divine brunch. I love your top! What a beautiful table! I love the colors and treats. Very festive. I am sure y'all had the best time! What a fun brunch! The table was set so pretty and girly. Glad you had a fun weekend and were finally able to get out! The Galentine's Brunch is sooo cute!! I love all the little details! And those pizza roll ups you made sound amazing! They wouldn't last long around me either! Hope you have great week! That brunch looks like so much fun - how fun to connect with local ladies!! And look at those spreads - yum! It sounds and looks like you had a fun weekend, girlie! The setup at the brunch was so cute, those cupcakes look so yummy! What a great idea to bring other local bloggers together to celebrate the holiday. It's a great way to connect over some yummy treats, too. I'm always impressed by how you know the best spots to dine. I've always said that whenever I do visit Boston, I'll be set with where to eat because of you, haha. 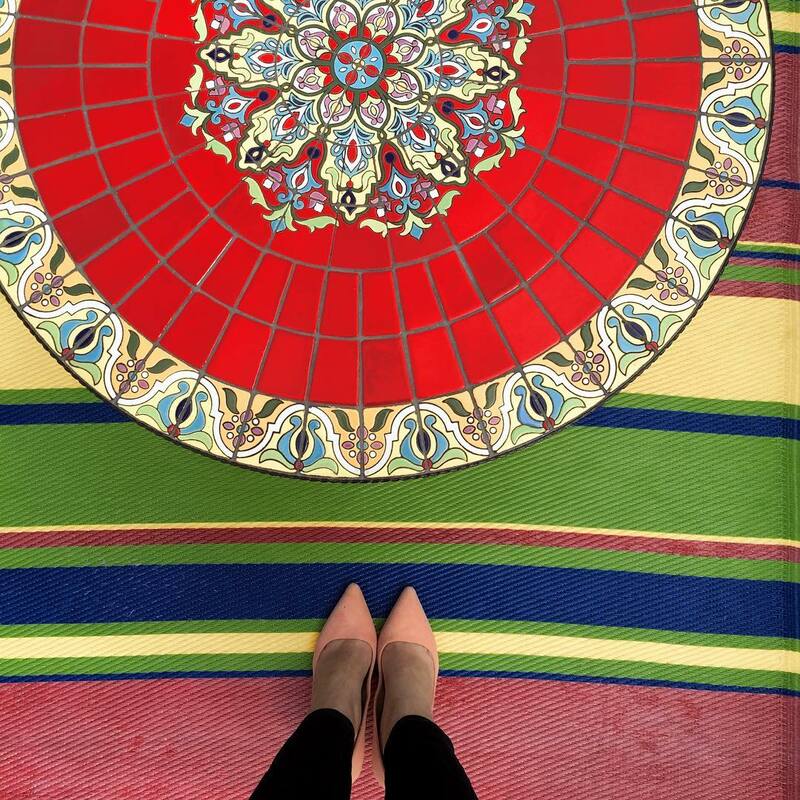 Thanks for sharing your weekend recap with us, beauty, and I hope you have a great week ahead! How what cute brunch!! Looks like it was a lovely time. Yay for girlfriends. I’m seriously already over all of the cold weather! I definitely was happy to have a cold winter, but after Christmas I’m ready for spring again! Those pizza roll ups are so good! I’ve made them before and they always get devoured! What a fun brunch! You are so lucky to have so many bloggers in your area. I don't know of any in my city! I love this brunch idea, and the sign is super cute!! How adorable and fun is this! 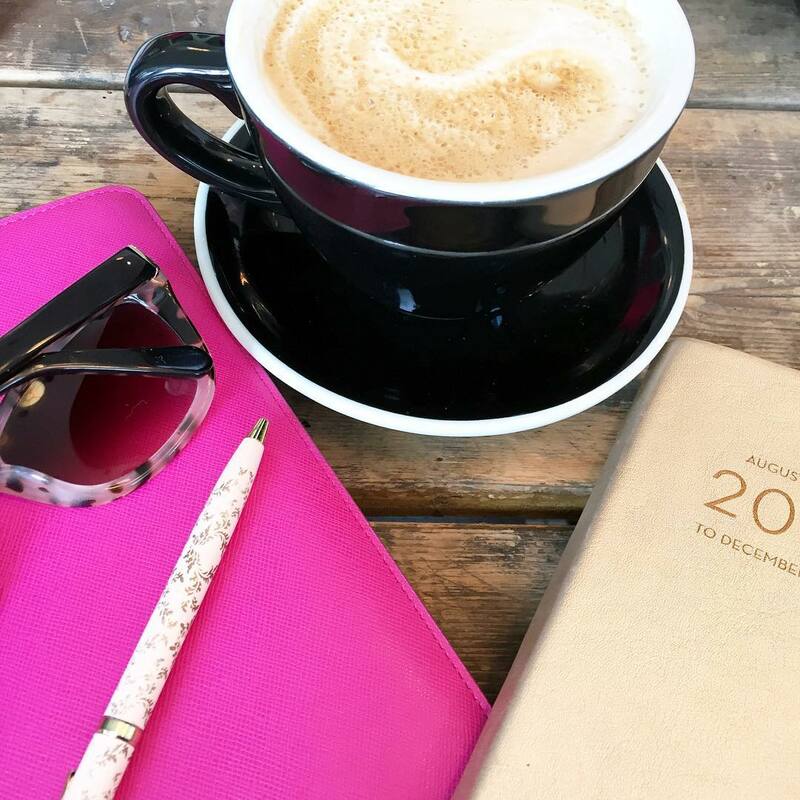 Love that you all have so many bloggers in your area! Looks like such a fun time! Sounds like a lot of good food this weekend! That brunch is so cute! That brunch looks like so much fun! Chocolate is all I need to know to be in, ha. Yay for dinner out with the hubby and a fun superbowl too. 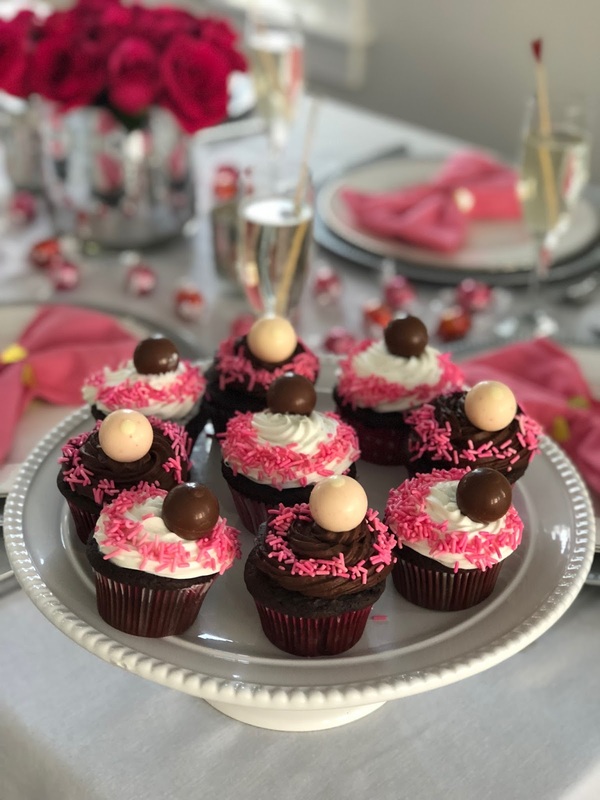 Love the Galentine's idea--her decorations were so cute! And your SB food looks delish!! Galentines Brunch sounds and looks great! Y'all are all so cute! I love your pizza recipe, sounds so yummy and easy! looks like fun and all that food looks great! Aw what a fun party! I love the table set up and you all look so cute! I agree that all the food looks amazing! That brunch is still giving me all the heart eyes! 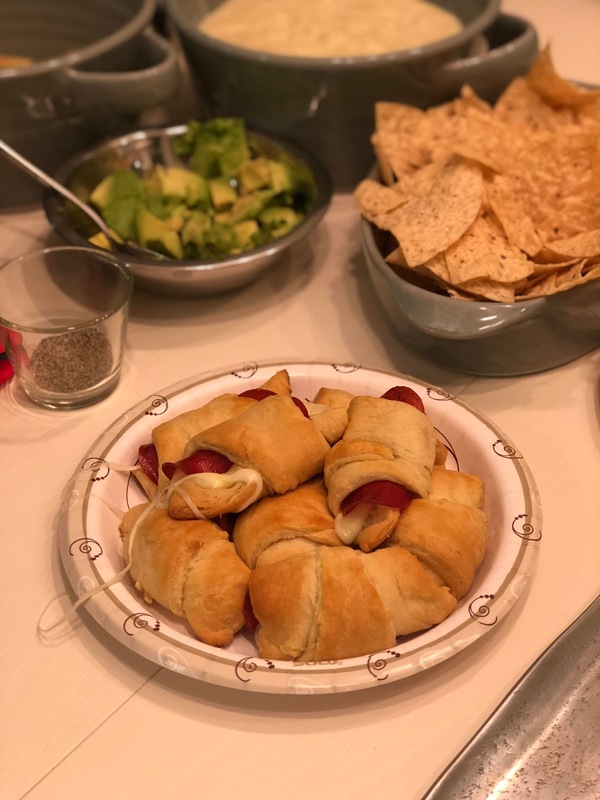 And those pepperoni roll ups sound DELISH! Ah we love The Abbey! As does our family lol, seems like either time one set of parents comes into town we end up there. Their truffle fries are heaven. Sounds like a great weekend. I want to make the pizza roll ups for my girls. Such a great idea.